*REDUCED RATE For Cruises Lasting More Than One (1) Hour! Set out on a smooth and relaxing boat voyage enjoying the beautiful sights and sounds of Lake Anna, VA aboard one of our fine boats. Feel safe and comfortable knowing your Skipper is an experienced US Coast Guard Licensed Master Captain. You can CUSTOMIZE your desired cruise and pick-up times! Family/Friends Cruise, Romantic Couples Cruise, Bachelorette/Bachelor Parties, Wine Cruise, Restaurant Stops, Real Estate Hunting, Sunset Cruise – No problem! All cruises are private. When you book a cruise, the boat is for you and your guests only! Bring your favorite beverages and enjoy the scenery! **No worries, we gladly accommodate all restroom stops. Dislike having to catch, buy, or maintain live bait? Want to learn in detail how to troll fish and catch the BIG LEAGUE Striper – Rockfish using no live bait? Learn how to use artificial lures then kick back and enjoy the breeze as you gently troll along. Suddenly, “BANG!” heart pounding action to the sound of multiple reels screaming as these Big Game fish attack! That’s trolling for Striper! Trolling, in essence, is the art of fishing by trailing one or more hook and lines behind a moving boat. We offer two separate, hands-on classes with all the necessary equipment provided to those wishing to learn Capt. 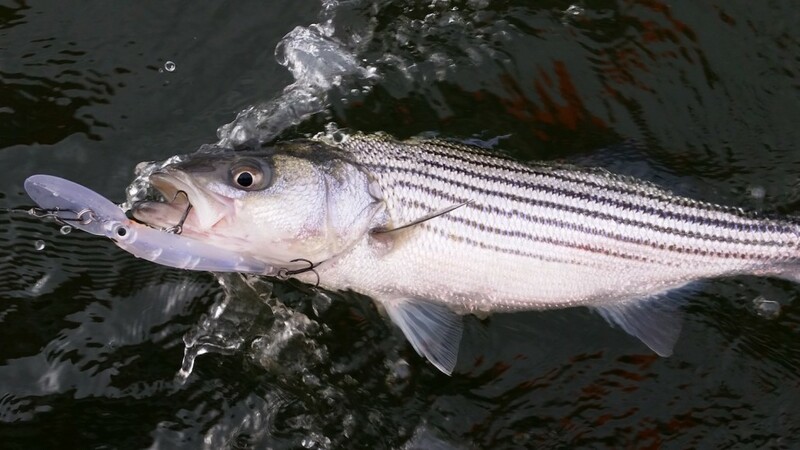 Ellis’ successful trolling techniques in catching Striped Bass, also known as “Striper” and “Rockfish,” using artificial lures. You will also receive a comprehensive packet which will contain a boatload of information which includes a list of our tackle used. Each class is scheduled to run four (4) fun hours and will take place on the water, aboard one of our fine boats. We are unique. You won’t find Striped Bass Trolling Lessons like ours on the entire East Coast! Many possessing their Boating Safety Certificates may have very limited hands-on boating experience or no actual boating experience at all. Naturally, this may cause many to lack confidence in their abilities to safely and comfortably operate a powerboat. Therefore, we offer those lesser experienced boaters a hands-on opportunity to receive calm, slow and steady practice on Docking, Casting off, Maneuvering in tight places (“Turning a boat on a dime.”), Man Overboard Scenario, and more. This hands-on boating lesson will be performed on the water, utilizing our boats, with an experienced US Coast Guard Licensed Master Captain. You will also receive a comprehensive packet which will contain a boatload of information which includes Boating and Equipment Tips.